If It's Hip, It's Here (Archives): Inspired By Diamonds. The Stellar Mirror By Jake Phipps. Inspired By Diamonds. The Stellar Mirror By Jake Phipps. 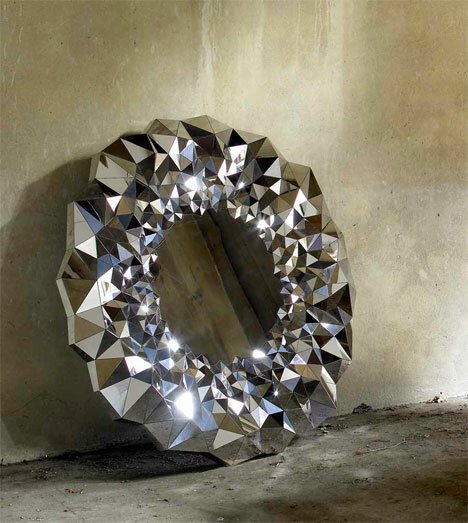 Thanks to Core 77, I've been introduced to this eye-catching faceted mirror, the Stellar mirror, by designer Jake Phipps. (note: on the Core 77 blog they called it the Spectrum Mirror, but on his own site, Jake has deemed it the Stellar Mirror). 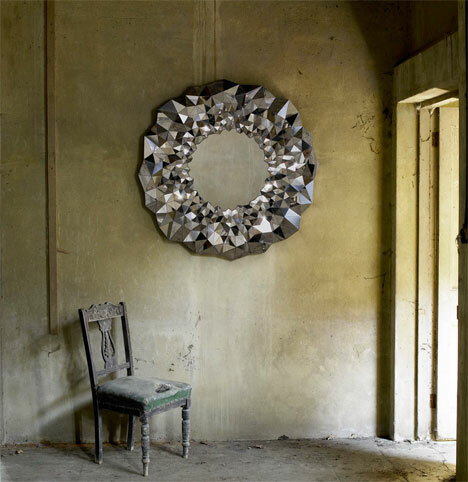 The wreath like wall mirror takes inspiration from the physical attributes of cut diamonds*. The mirror’s reflective qualities, whilst crisp and pure at its center, radiate out with a ring of 750 individually sized and angled mirrored sections, breaking down the light and the surrounding environment, delivering it to the eye as one sparkling entity. This optical dispersion means that as the ambiance of the mirror’s environment changes throughout the day, so too does its color and luster, creating an ever changing focal point to a room. 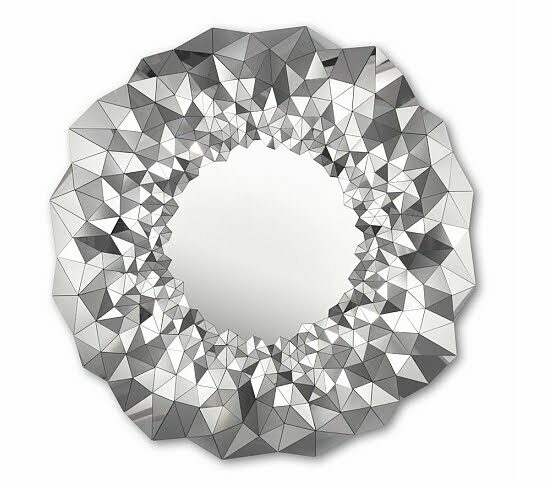 The mirror is available to buy directly from the studio. *In diamonds, cut is the primary determinant of value followed by clarity and colour. Diamonds are meant to sparkle, to break down light into its constituent rainbow colours (dispersion) chop it up into bright little pieces (scintillation) and deliver it to the eye (brilliance). In its rough crystalline form, a diamond will do none of these things, it requires proper fashioning and this is called "cut". Meet Marcel The Shell With Shoes On. Urban Camouflage By Aaron Larney. The Three AIR Aquariums By Design Studio Usin-e.